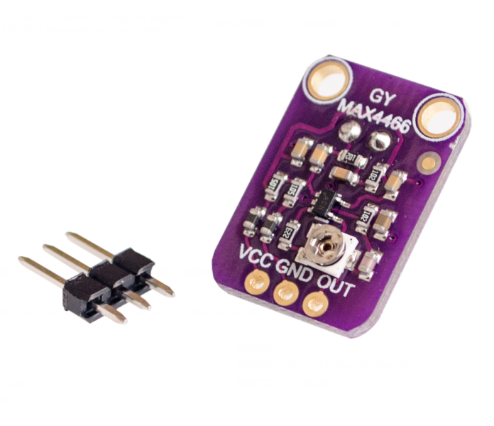 Small portable electret microphone breakout board with adjustable gain based on the MAX4486 chip. 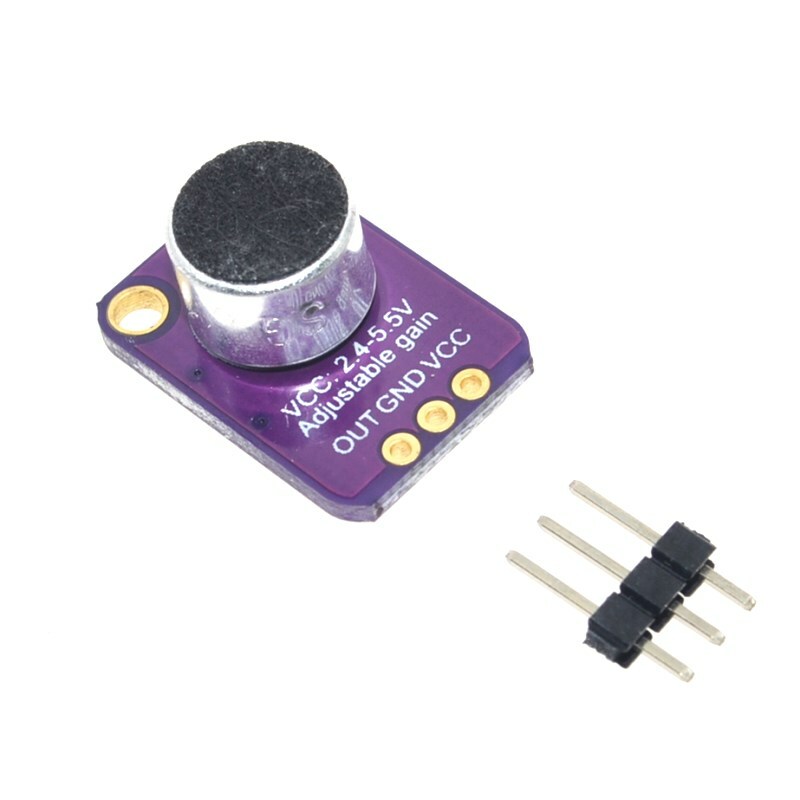 Gain can be adjusted by turning the small potentiometer behind the board. Package comes with 1 module and header pins to solder to the board. Sensitive and useful for audio and acoustic applications.